We stand on the shoulders of giants, having grown from the knowledge and labour of others that came before us. 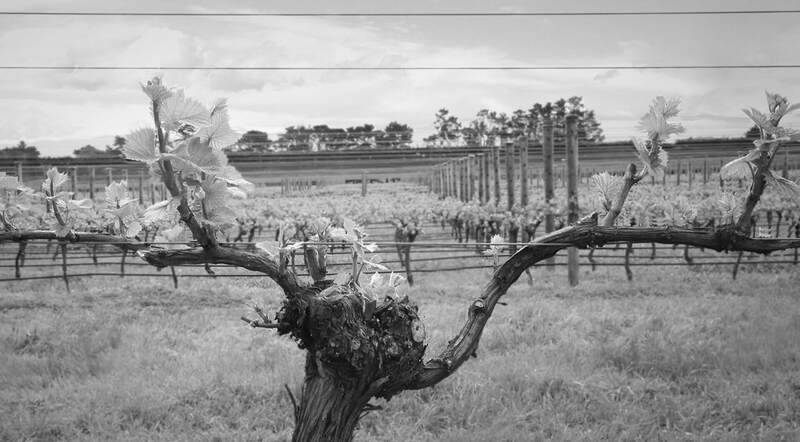 In the pioneering winemaking community of Martinborough, we are now stewards of a viticultural legacy. Our family, mentors and founders of our craft have lifted us up to produce this series of single-vineyard wines. Braden and Gabrielle Crosby are winegrowers, gardeners, parents and lovers of wine, driven to make textured white wines and perfumed Pinot noir from their four hectare vineyard in the heart of Martinborough. Braden had spent the previous twelve years making wine, and running vineyards for small producers in the Wairarapa and around the world, including Napa, the Loire, Ontario and the Hunter. Gabrielle, a formally trained photographer, has worked for the last twelve years in marketing roles. After an epiphany when working harvest in Alsace, Braden and Gabrielle both left their jobs to search for the best vineyard they could find back in the Wairarapa. Discovering the notable McCreanor vineyard in Martinborough, they purchased it in 2015. The husband and wife team now spend their days working the vineyard and land, with the goal of making elegant and individual wines.